Just popping in with a card I made yesterday for a couple of challenges. No chatting today as crafting buddy Kylie from Australia will be here any minute...super excited! I picked out some of the colours of the fireworks we saw at the weekend. And over here we play with 'sparklers' so I thought the sentiment was perfect! Fabulous take on the sketch, Sandie! Fun design for a Christmas card with a modern twist! Enjoy your visit! WOW ! What a beautiful combo of both challenges ! Love your CAS design with these touches of fireworks colours ! Love it ! Thanks so much for sharing and for playing along at Less is More ! 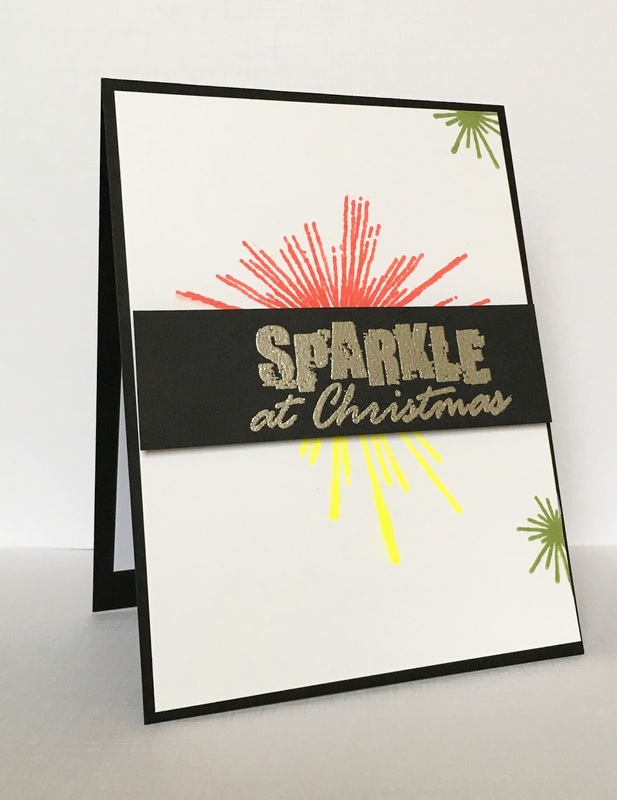 Oh yes we should sparkle at Christmas... your card is a wonderful interpretation of our tricky Sketch! thanks for joining in, Sandie! Have so much fun with Kylie! hugs to you both! Hope you and Kylie are having a fabulous time. Love your wonderful card! Love this CAS card. Your colors are just perfect. Thanks for sharing at Less is More! Brilliant card, vibrant and fun! Inspired by All the Little Things/Muse take 2!